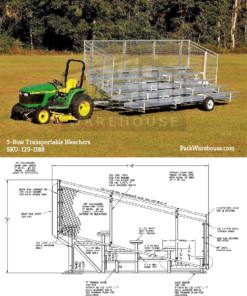 Molloy from Rapid City, Jesse from McAllen & 16 others bought this item recently. 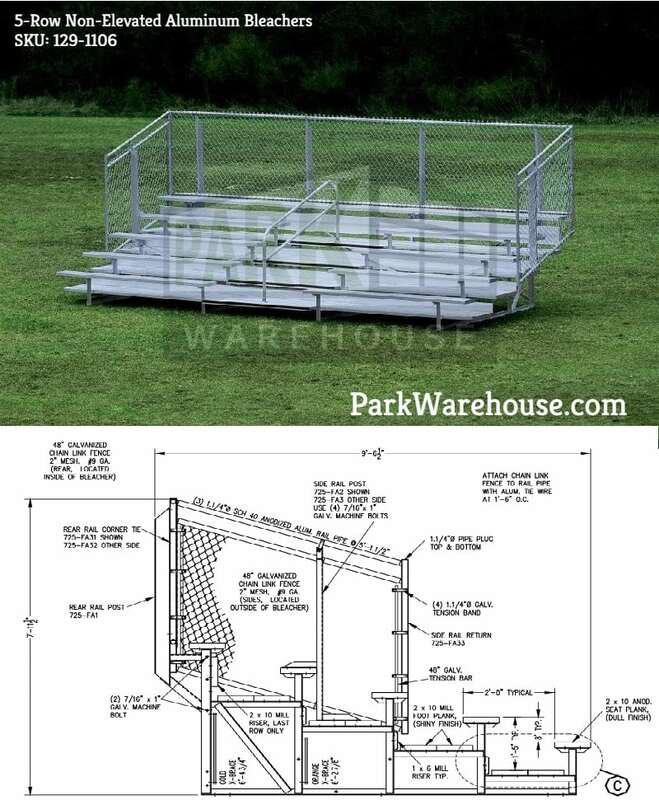 The Midfielder Series 5 row aluminum bleachers are built to be durable and long lasting. 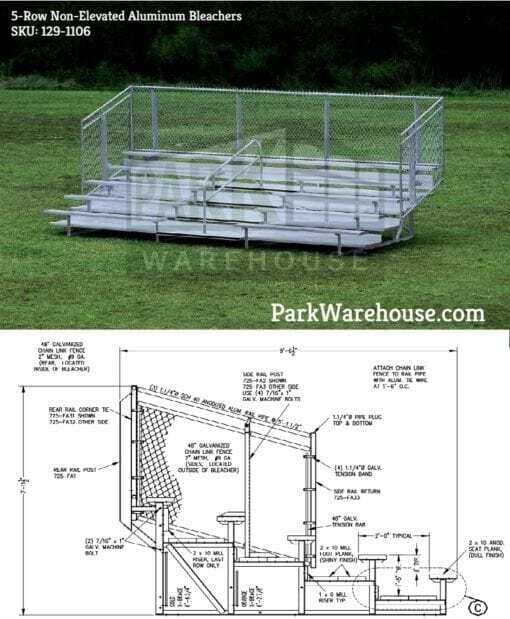 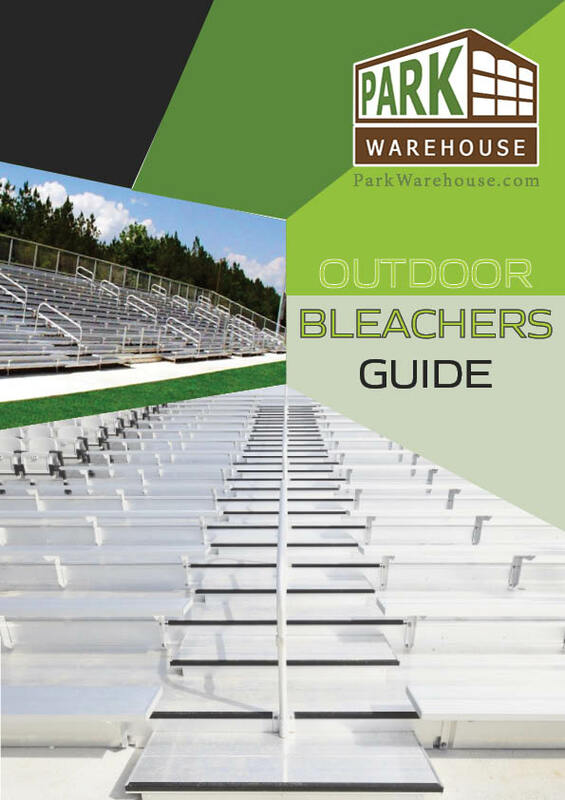 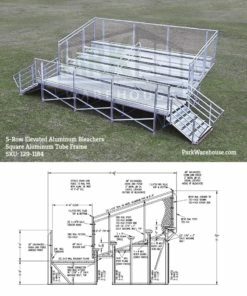 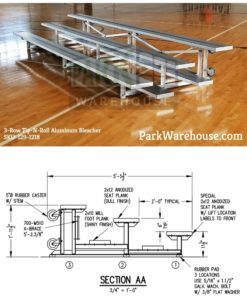 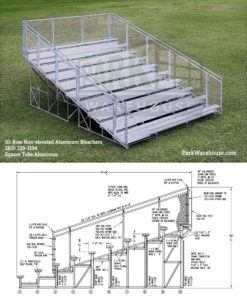 These bleachers are industrial grade aluminum structures with a center aisle, guardrail and double foot planking so going up and down the aisle is safe and easy for up to 94 fans, depending on the length. 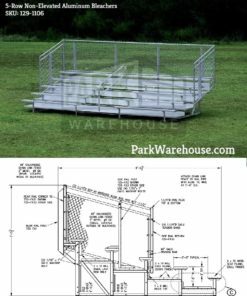 These structures are for use on hard, flat surfaces.